Hurling is the national sport of Ireland and is widely regarded as "the fastest game on grass." It is also said to be the fastest growing sport throughout the world. Over fifty cities have hurling clubs throughout the U.S. The Providence Hurling Club, aka PVD HC, established in 2015, is a proud member of the Boston/Northeast Division of the US Gaelic Athletic Association. 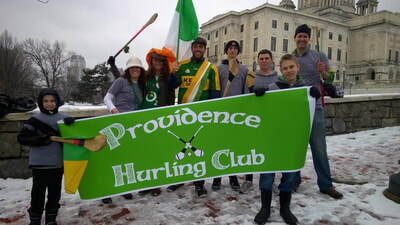 We are dedicated to help spread the word about this fantastic game and growing the sport throughout Rhode Island! "The Hurling Club does their own Pub League!" 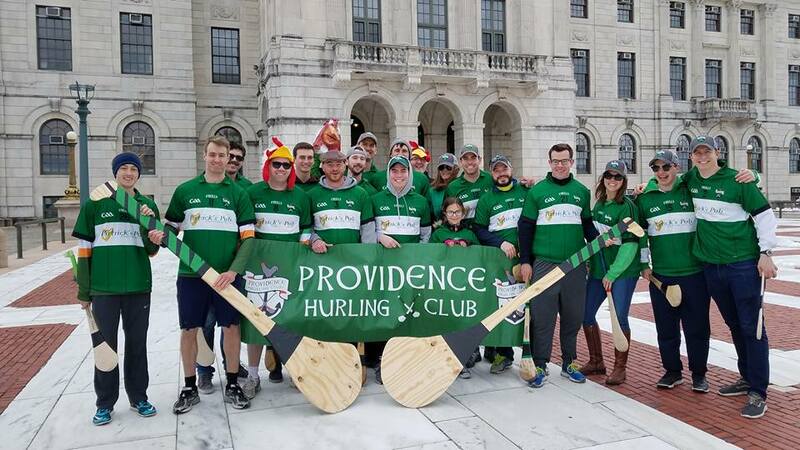 This year rather than participating in a Spring Pub League with the other Northeast Junior C teams, the Providence Hurling Club will be putting on our own Pub League. The club league will be sponsored by Murphy's Pub located in downtown Providence on Fountain Street. 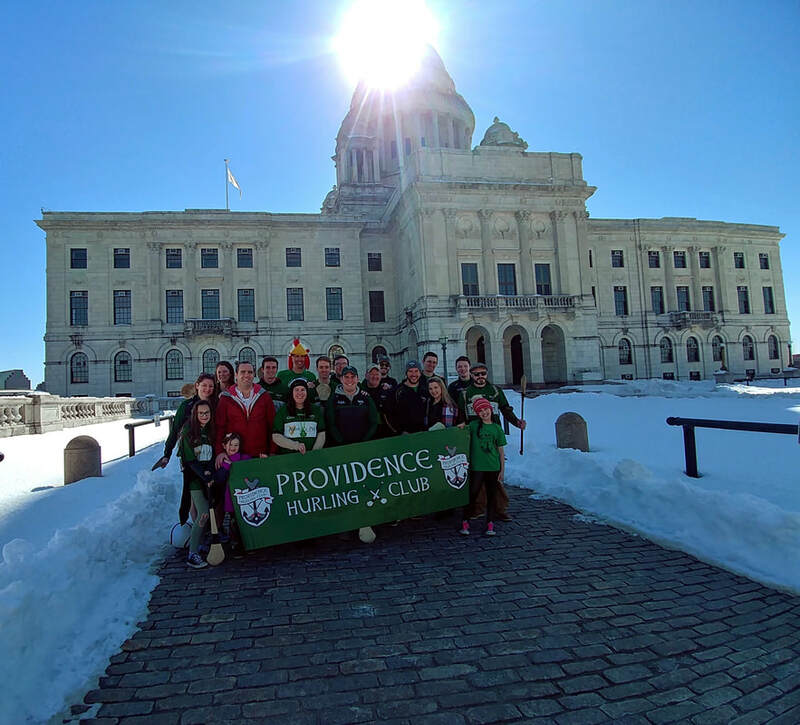 There will be three teams comprised of only Providence hurlers competing against one another to get a chance at the Providence Cup! Keep an eye out for the schedule on this post as it will be posted soon. After matches you are more than welcome to join us as the club will be heading to Murphy's for food and drinks. The first major happening of 2019 for the Providence Hurling Club was a success! The AMAZING progress we have created through five years of recruitment and hardwork! ​50 Obadiah Brown Road, Providence, RI 02909. ​COME AND JOIN US FOR A PRACTICE! WATCHING OR TRYING IT OUT! Check out our Facebook Page for 2019 practice updates. The Providence Hurling Club - In The News! 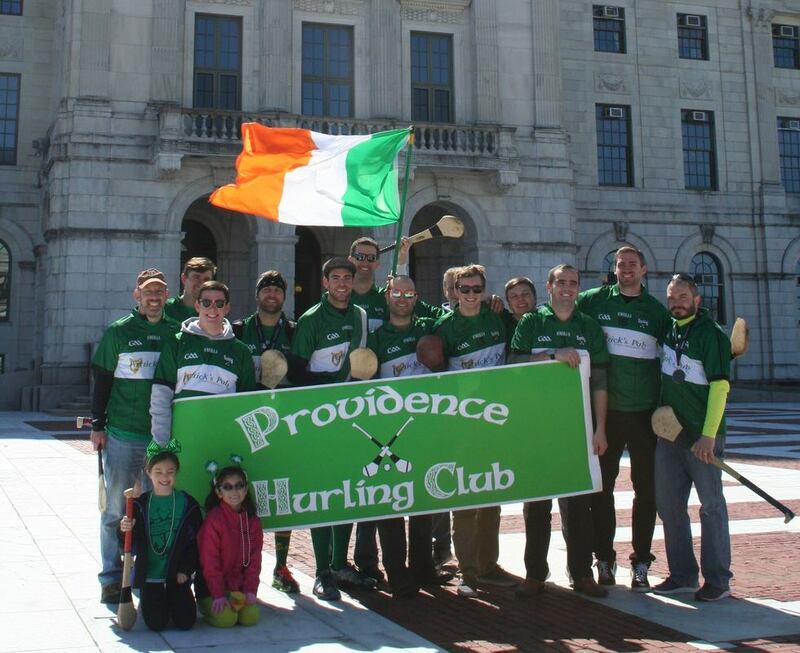 The buzz about the state's first hurling club! 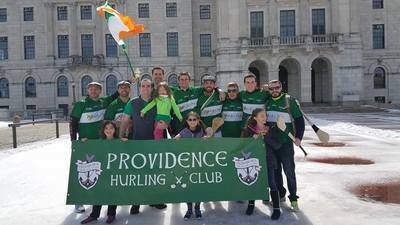 Visit our official web shop on O'Neills, the Official Equipment Provider of the Providence Hurling Club!